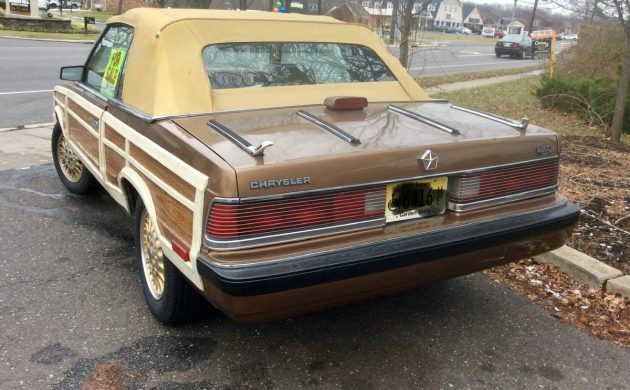 While not exactly a “barn find”, you’d be hard-pressed to find one of these 1986 Chrysler LeBaron Convertibles anywhere anymore, particularly a turbo one, with the woody trim, and with 61,000 original miles. 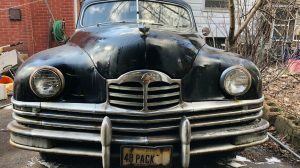 This one is listed for sale here on craigslist in New Jersey and is nearly identical to the one featured in the Hollywood movie “Planes, Trains, and Automobiles” where Steve Martin and the late John Candy drive a green one. 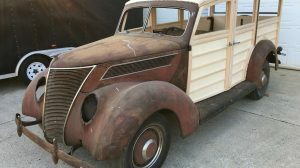 The listing is a bit light on details, but the seller says that the tires are new, the title is clean, and it is in roadworthy condition. 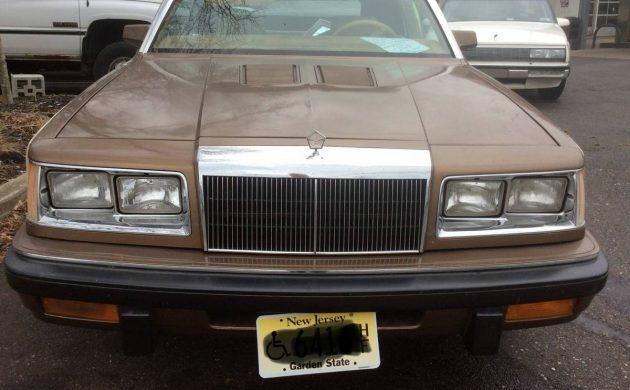 An upscale variant of the famous (or infamous, depending upon your viewpoint) K-Car platform that saved Chrysler in the early 1980s, the LeBaron was a step above the base-model Plymouth Reliant and Dodge Aries. They were built In one of four factories: two in the U.S., one in Mexico, and one in Chile. This being a 1986 model, it was the first year of the new, rounder facelifted exterior. 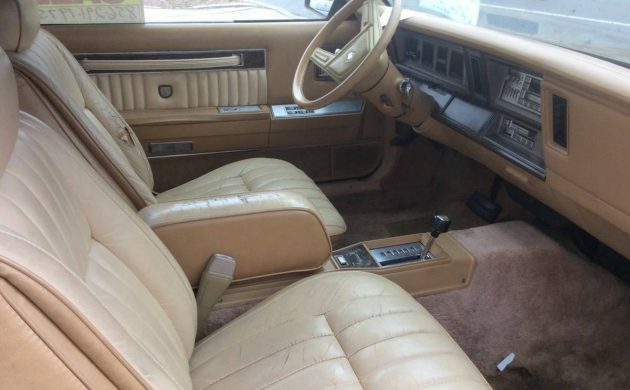 Particular to this car is that it has the simulated woodgrain paneling and trim, which makes it the Town and Country package, and therefore very likely to be 1 of only 1,105 ever made over a course of three years. It may also have the then-revolutionary computerized voice module that would inform the driver of important conditions, such as “Your door is ajar” or “Engine oil pressure is low” The seller doesn’t state the mechanicals, however, the turbo engine in the second-generation LeBarons was a 2.2 liter transverse-mounted inline-four, mated to a choice of Getrag 5-speed manual or, in the case of this car, a 3-speed Chrysler automatic. This setup produced somewhere between 140 and 170 horsepower which, for a small car of that day, was impressive. 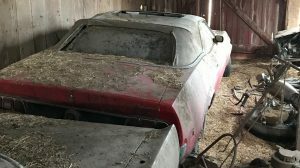 Overall, this particular car looks to be a nice, driver-quality car that may very well become highly collectible, if it isn’t already, and probably worth every penny of its asking price. The Jon Voight car is no more. Glad I wasn’t the only one. Check the glove box and call a dentist/future meth lord. Watch the ones equipped with a turbo! fairly. Too bad I’m broke. The radio still works. Clear as a bell! 142 hp not 170. Getrag geared a555 trans was not available in 86 and never available on Turbo I cars. Turbo I cars got the a525 manual trans or a413 auto. 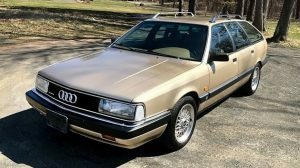 Only the intercooled Turbo II cars got the a555. Those didn’t arrive until 1987. I had never seen a Town and Country convertible before. 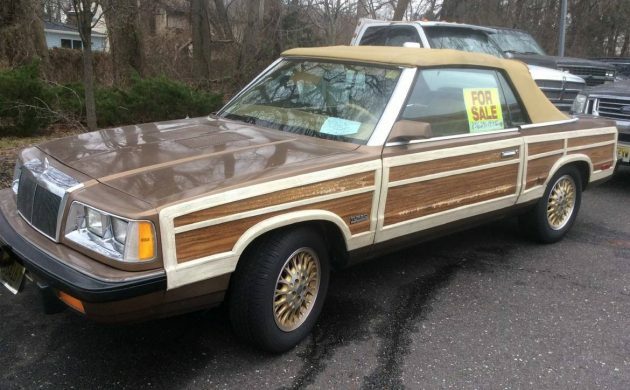 Theirs was the same color as the Family Truckster…coincidence or consipracy? This is one of those cars that I secretly want, but don’t really want to be seen in it.. Tacky ’80’s Chrysler “Class.” If you want an ’80’s Chrysler convert, LeBaron GTC or TC by Maserati are much, much better choices. I wonder if this was from that massive K-car collection of a few years ago. I’ve got eclectic tastes but man, a giant K-car collection’s a real head scratcher even for me! The wheels look like they are from the LeBaron 2 door. I don’t think those were available on this model. I laid eyes on a stash of close to 25 of these el primo a couple years back. Very, very nice collection. I had one of these, a black 1984 with the Mark Cross interior. By the time I got it, it was pretty crusty underneath but looked good outside. Being raised in Milwaukee, surrounded by beer, bratwurst & cheese, I am not a little feller. For the most part, neither are my friends. About 20 years ago, when I had this car, I had a friend that had some SEVERE weight issues. We were not even 30 yet & he was over 600 pounds. I used to love to go bar hopping with him. Chicks would stare & I would be “the skinny guy” lol. Anyhow, he & I took a road trip in that poor little convertible. I didn’t realize how rusted it was underneath. By the time we got to our destination, the doors wouldn’t open lol. I don’t recall how we got him out of that car, but I do recall medical personnel being involved in that alcohol fueled weekend, & they were there for him. R.I.P Dave! porch of his house and recognises George. POP: Back in the old neighborhood, ah? GEORGE: Yeah, yeah. Just delivering some presents to my folks. POP: Oh, snazzy car. Le Baron? GEORGE: Yeah, eighty-three. Used to belong to John Voight. POP: Mind if I look under the hood? GEORGE: Oh, no no no no. Go ahead, Pop, you always knew your cars. A young woman has exited from the old guy’s house, and approaches. POP: Oh, Deena! Deena, Deena, l… look who’s here. Pop lifts the hood of the car, and leans into the engine compartment. DEENA: George Costanza, is that you? pretty as you did back in high school. DEENA: Boy, those were some crazy times. GEORGE: Yeah, yeah. Speaking of crazy, did you hear about Lloyd Braun? and clanks can be heard as he fiddles with the mechanics. GEORGE: I know. Completely bonkers! GEORGE: Pop? What happened to Pop? POP: Oh, I tell you, they don’t build ’em like this any more. He goes back under the hood. GEORGE: (a little worried) He uh, he doesn’t have the auto shop any more? DEENA: Uhn, it was too much for him. Pop is thumping away at part of the engine with a spanner. GEORGE: (very worried) Uhm, I, I gotta go. GEORGE: I just remembered, I gotta be someplace. Yuh-hu-hur, that’s enough. Pop.